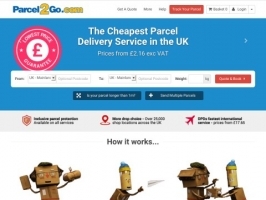 Parcel2Go offers parcel delivery services from domestic and international couriers. Additional services on offer include mail forwarding and import services. The website also features daily news, a blog and customer reviews.